In partnership with 61 socially-driven hotels, Smartrip has completed 14 social programs and is in the process of financing 27 more. Smartrip helps fund social projects by donating 20% of its net profits and receiving online donations from other donors. The company supports programs with a variety of goals, including educational, environmental, and entrepreneurial goals. 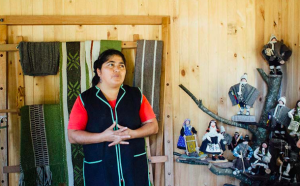 For example, Juana Quintoman, a Chilean entrepreneur who focuses on preserving the ancient Mapuche knitting technique, was able to fund her project with Smartrip’s support.